The in-form striker is a major doubt for the Reds’ midweek fixture against Paris Saint-Germain. Liverpool manager Jurgen Klopp has admitted he’s in the dark with regards to the eye injury suffered by forward Roberto Firmino during the Merseyside outfit’s 2-1 win over Tottenham Hotspur on Saturday. The Brazilian was on target for the second time in as many matches, but his outing was cut short after an accidental clash with Jan Vertonghen. 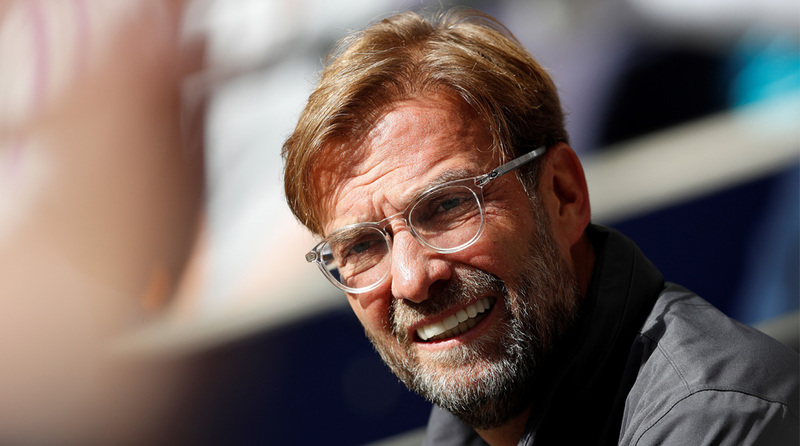 “I’m not sure, but there may be an injury with Roberto, we don’t know exactly in the moment,” Klopp said after the fixture at Wembley Stadium. Vertonghen was marking Firmino when his finger inadvertently went into the eye socket of the South American striker and the former Hoffenheim man was understandably in agony after the clash. The incident occurred late in the second-half and Firmino couldn’t carry on, with Jordan Henderson replacing him in the 74th minute. Firmino’s injury makes him a serious doubt ahead of Tuesday’s UEFA Champions League clash with French giants Paris Saint-Germain. The unusual manner of the issue makes it difficult to set an accurate timetable for the forward’s return, but he should be in contention after their tie against Les Parisiens. Liverpool, topping the Premier League table with five wins from five matches, next take on Southampton (Saturday, September 22). The injury couldn’t have come at a worse time for the Reds, for they have some testing fixtures up ahead. After PSG and Southampton, they take on Chelsea twice (League Cup and Premier League) before facing Napoli (UEFA Champions League) and Manchester City (Premier League).